Oh Ross, you devil, you! 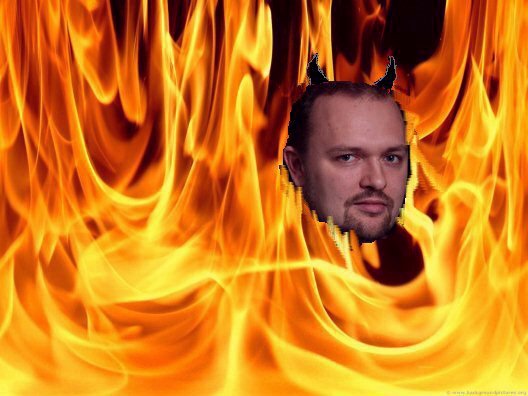 In today’s New York Times, Ross Douthat makes ‘a case for Hell.’ This is what we are offered as the intellectual ballast of the ‘conservative’ political movement today: a shallow exercise in theology. Using GoogleBooks, I read through the introduction that Douthat cites: some pages were left out. Maybe they were the ones where Esolen makes this rather astounding argument about a poem that is often considered a literary summa of the medieval world-view, but I doubt it. More likely, Douthat is not interested in what the terms Christian, Humanist, and Medieval actually mean, at least in literary terms. The list of attributes he gives above are not normally associated with humanism, even in the simple version I recall from grade school textbooks, i.e: man the measure of all things; skepticism; finding truth with reason; lack of dogma; joy in daily experience, etc. 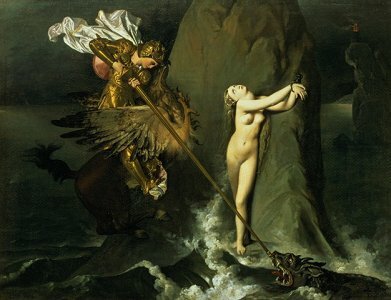 They are associated with the medieval, Christian-allegorical way of seeing the world. But for Ross, that is the only way, I suppose. Is Gandhi in hell? It’s a question that should puncture religious chauvinism and unsettle fundamentalists of every stripe. But there’s a question that should be asked in turn: Is Tony Soprano really in heaven? 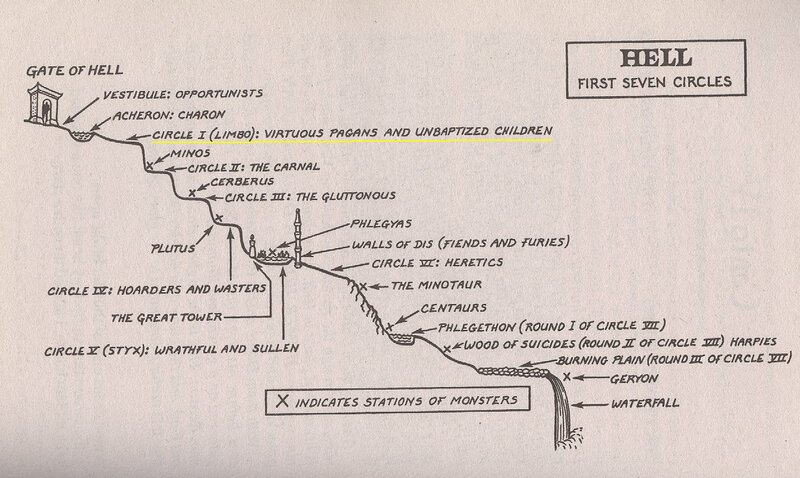 If he had read The Inferno, he would know that Gandhi is certainly in hell, down on the First Circle, with all the righteous gentiles and unbaptized infants who died too soon. They just sigh a lot – no torture – lamenting their missed chance at salvation. All those intelligent B.C.E. philosphers are there too! As for Tony Soprano, if there is no hell, there is no heaven. I doubt any theologian really thinks what Douthat claims they think. I am just beginning a new biography of Galileo by Heilbron, and what an unusual biography it is! Rather than giving us a blow-by-blow of the life of the great man in embryo, we are almost immediately tossed into the chaos and ferment of late Renaissance Italian intellectual life. Perhaps the details of Galileo’s early life are few and far between anyway. But, more surprising, the attitude of the writer towards his famous, sainted subject is frequently one of ironic detachment and humor. No hagiography here! It’s an exhilarating and fresh approach to a man who is crucial in the history of modern science, but whose own accomplishments seem relatively slender compared to Newton and some others. I have been hearing about Orlando for so many years now, it’s time to read it. My task is to discuss, to the best of my power, the rise, the development, and the destined ends of the two cities, the earthly and the heavenly, the cities which we find, as I have said, interwoven, as it were, in this present transitory world, and mingled with one another. City of God, Part II, Book XI, Chapter I – The subject of the second part: the origins and ends of the two cities. And where Hell is, there shall we ever be. 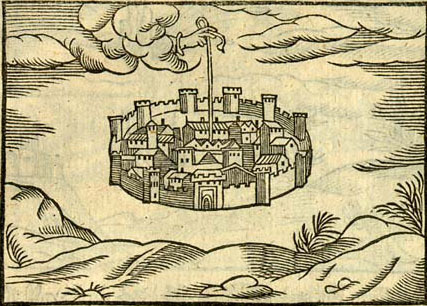 Italo Calvino wrote a book called Invisible Cities, and one of them was the City of the Inferno. It too occupied the same place as all the other cities, which is to say, the world. 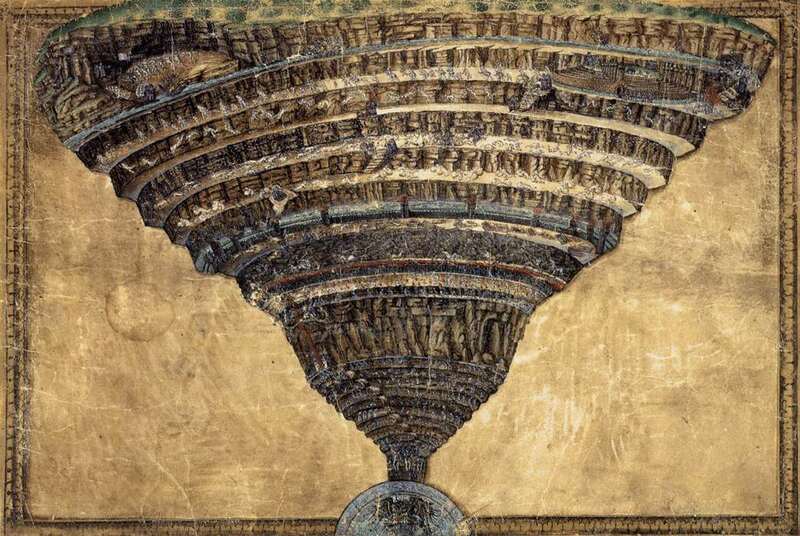 Inferno makes us think of Dante, but his hell was in a specific location and was well mapped. The inferno of the living is not something that will be; if there is one, it is what is already here, the inferno where we live every day, that we form by being together. There are two ways to escape suffering it. The first is easy for many: accept the inferno and become such a part of it that you can no longer see it. 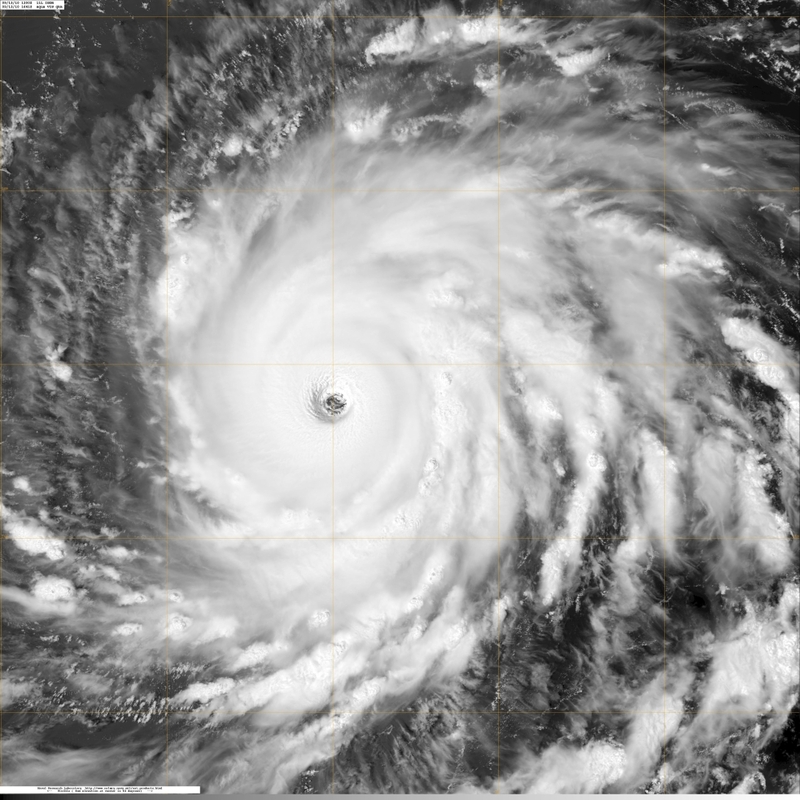 The second is risky and demands constant vigilance and apprehension: seek and learn to recognize who and what, in the midst of the inferno, are not inferno, then make them endure, give them space. I tend to think that Bob Dylan’s Desolation Row is yet another one of these cities, maybe a city of the self, certainly of the world, and it is everywhere. Desolation Row is not just the Bowery, it is, as they say, a state of mind. Is it someplace you want to get out of or escape to? Not clear, maybe both. Finally, we have the City of the Self, the city within. We all live in our own city, of one. Is this city heavenly or hellish? Seems it can be either one. We make the city we live in the city of our self. For some people, living anonymously in the midst of stone and asphalt can be the most beautiful and relaxing state of being; the country subjects us to the hell of other people. I am going to seek solitude and rustic peace in the one place in France where they exist, in a fourth-floor apartment overlooking the Champs-Elysees. Others, who won’t join the City of God, live in the city of the self that is obsessed with the world. Ahab, the bad king of the Old Testament was one. His modern incarnation sought the world out of obsession with whiteness, and wasn’t he really just self-obsessed? He tries to bribe his crew into joining his metropolis of insanity. But for some, like Starbuck, even as they live their lives in the mini-city of the Pequod, the unfortunate New England whaler, and certainly no microcosm of a City of God, the city of self shows unexpected depths of peace. 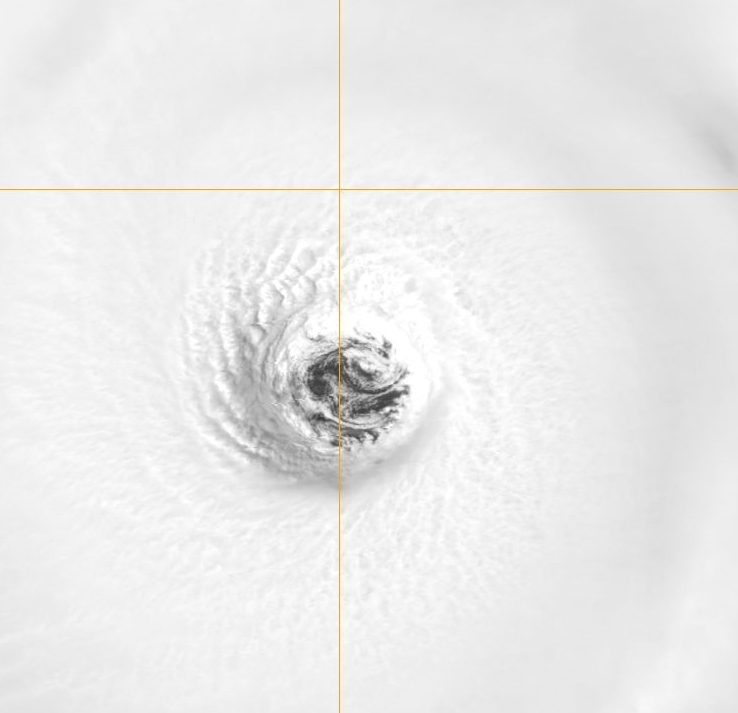 …Amid the tornadoed Atlantic of my being… you can see all the way down to the calm center, where there is no city at all. 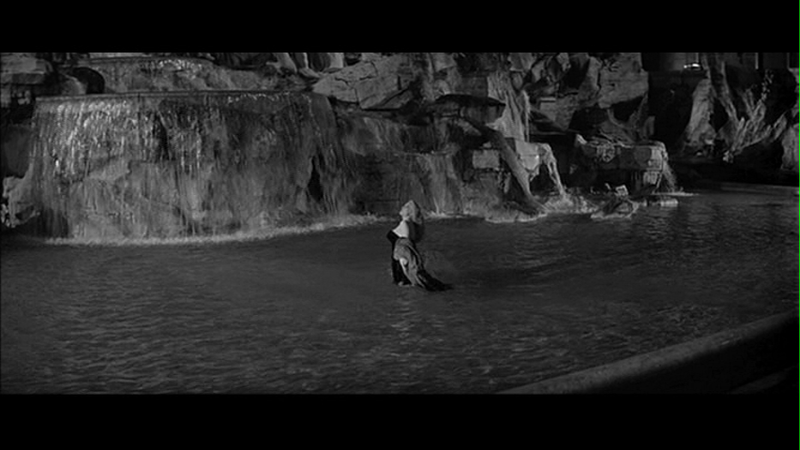 Lots of commentaries on Fellini’s 1960 film, La Dolce Vita, make much of the fact that it contains many allusions to Dante. Is this surprising, that an Italian artist should do this? No more than that an English speaking writer would quote Shakespeare or the King James Bible. A long film, a rich film, a simple story. A man searching for…a way out of the shallowness, ennui, and spiritual desolation of his life. A beautiful woman loves him, but maybe she’s the wrong one for him. She would need a little more sophistication to wrestle him to the ground, so he grinds her up and spits her out. He is disgusted by his “friends,” but who else does he have? The man he seems to admire commits a grisly suicide. His father? He hardly knows him, and genuine article that he is, he has a few of his own illusions to deal with. 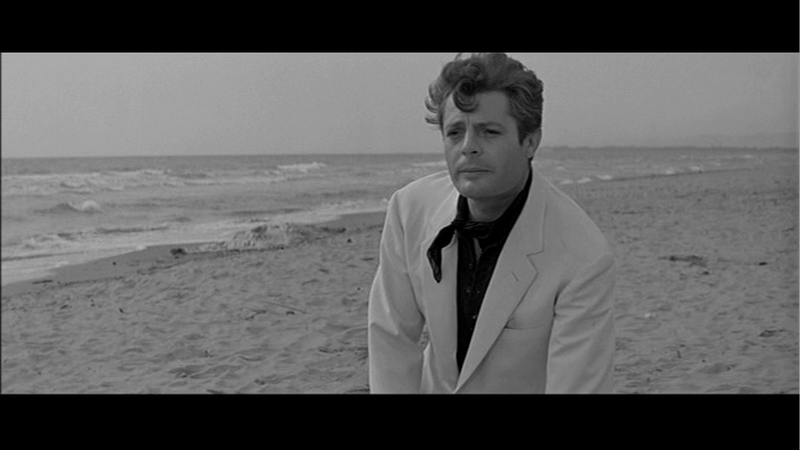 Maybe Marcello is just too handsome for his own good. At the end, he encounters again the beautiful young girl from a little cafe he met earlier. A profile like an angel. She beckons to him, but he can’t hear her across the waves. He goes back to his degenerate orgiasts who are leaving the beach where they were gawking at an enormous “sea monster” the fishermen brought in. Might there be a shred of hope left for him?